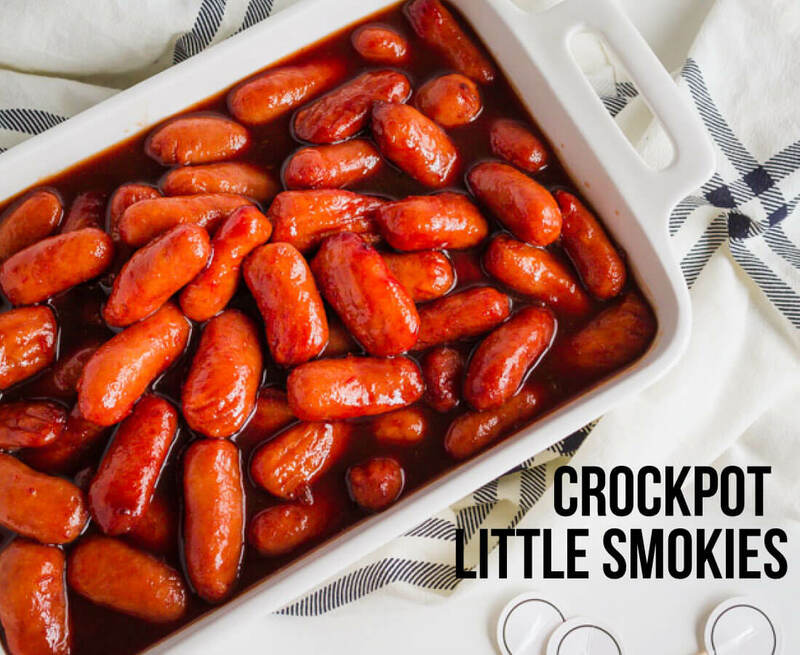 Crockpot Little Smokies are the perfect appetizer for any party you host! There’s a secret ingredient that make this recipe extra good. 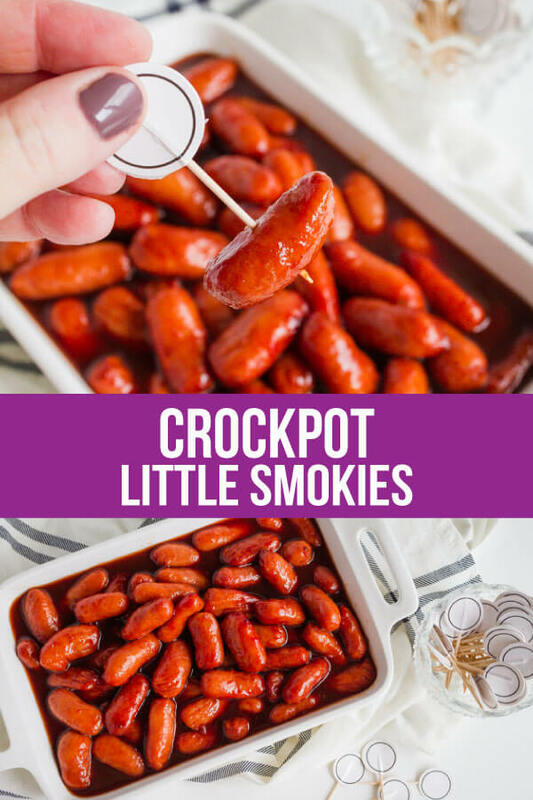 Ok I know that these smokies might not look the most appealing of all appetizers. 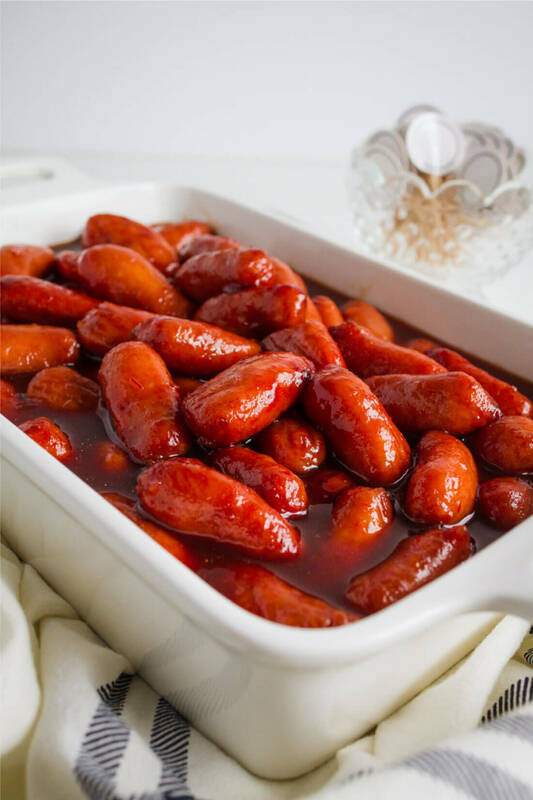 It’s kind of hard to make sausages look amazing, really. But trust me, you’re going to want to try this recipe. It is one of the easiest out there and people always ask what is in them. It’s only a couple ingredients and so quick to add to any party. Watching some football? Make these. Hosting family? Make these. 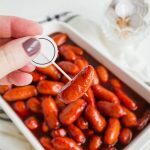 There are a bunch of ways to cook Little Smokies (yes, I’ve tried them with bacon and brown sugar– have you?! SO good!) but for this recipe you will pull out your crockpot. I use my slow cooker all of the time, especially when I have a lot going on but still want to get dinner on the table. The biggest thing about cooking these is to make sure that they are heated all the way through! Stove top. Add links to 2-3 inches of boiling water and simmer for 2-4 minutes. Oven. Bake links in shallow pan in a preheated 350°F oven for 12-14 minutes. Microwave – follow the directions on the package according to your microwave. This is the quickest way to cook them. Remember to grab the toothpicks to make it easy to serve! 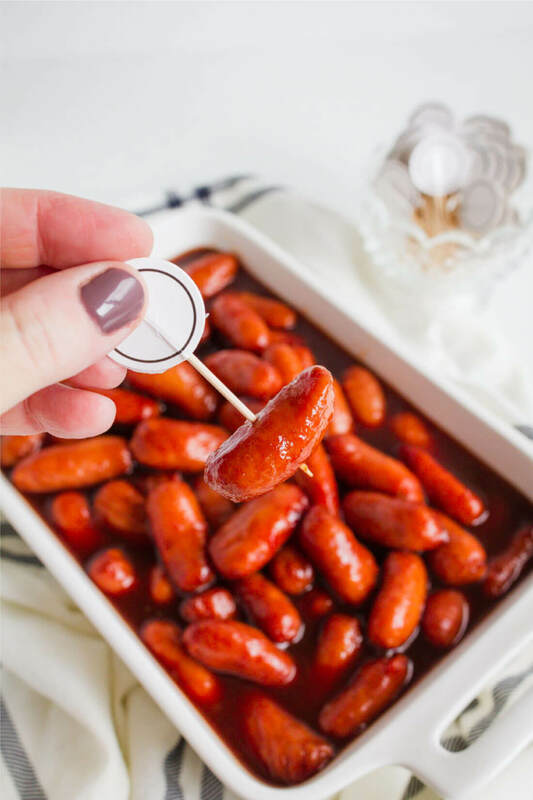 Crockpot Little Smokies are the perfect appetizer for any party you host! There's a secret ingredient that make this recipe extra good. Combine all ingredients in a slow cooker. Cover. Cook on low for 1-2 hours or until heated through.